Perry Christian Church does not belong to a denomination, but we are part of a worldwide fellowship of Christians who have a heart for the restoration of the experience of God’s love in the world and in our daily lives. At PCC, we strive to restore Bible practices. The only guide for what we believe and for what we do is the Bible. There we find everything we need to know about what God wants for our church. And there we hear the good news that God wants us to be in complete unity with Him and with one another through Jesus. We invite you to become better acquainted with us. 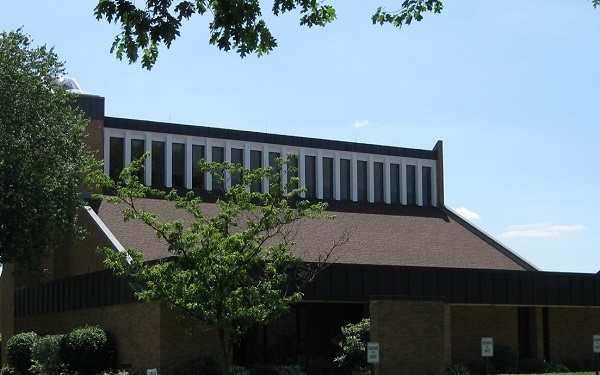 In 1954 First Christian Church, of Canton, Ohio through its Board of Elders concluded that a new congregation should be established in the geographical area between Canton and Massillon. The first Minister was called on August 8, 1954, with a view of leading a new congregation. He began duties of service in the community on October 1, 1954. On August 22nd, an organizational meeting for the proposed church was held at the Genoa School. They began worshipping on that site September 5, 1954. There were 184 people present for worship. The name, Perry Christian Church, was adopted at the formal organizational meeting on November 21st. In the early part of 1955, the decision was made to purchase a five acre tract of land at 139 Perry Drive at a cost of $16,800.00. Construction of the new building began August 23rd. This was the first of three planned units. Worship services for the growing church were held in the Fellowship Hall starting July 15, 1956. Groundbreaking for the second unit was June 12, 1960. It was completed in February of 1961 and included a chapel, library, three classrooms, nursery, church office, pastor’s study, workroom and a kitchenette. The final phase of the original building plan, which would include a permanent worship center, was begun on May 21, 1972. It was dedicated and put into service one year later. The worship center has a seating capacity of 600 with the overflow. Seeing a great need in our community, the leadership moved to purchase a small preschool. This was done in 1991 and many projects were undertaken to receive them into the facility. Today, Perry Christian Preschool & Childcare operates within these walls as a ministry of the church to the community. In 1997 we added an office wing to bring the church staff together. The Chapel was upgraded to accommodate a wide variety of activities. Kitchen facilities were expanded and a new entrance was added to the west end of the facility which now houses our preschool office complex. We continue to make necessary improvements and additions to the facility.